Dr Noor Sacoor qualified at the University of Manchester in 1983. She has been part of the Acton practice for more than 30 years, joining the team in 1987 before taking over in 1989. Over the years, Noor’s calm and sensitive demeanor has helped hundreds of anxious patients to feel safe and confident in her care. She has supported patients to receive treatment even when they feel extremely nervous. Noor has always believed in treating the person, not just their teeth. This has made her popular with patients of all ages. Noor believes in constantly learning and adding to her skill set so that she can provide her patients with the best care possible. She attends courses regularly to enhance her practice. These include courses on Cosmetic Dentistry and Aesthetic Restorative treatments, Inman Aligners, Six Month Smiles and restoration of implants. She also provides facial aesthetic treatments including wrinkle correction and fillers Unlike many other dental professionals, Noor believes in a holistic approach to modern dentistry. She has trained in alternative approaches to dentistry and is licensed by the Faculty of Homeopathy as well as holding a certificate in Acupuncture for Dentistry. Noor is an active member of the Local Dental Committee which helps to keep her informed about NHS dentistry. Noor is married with two children. Her adult son has autism, and this has given Noor enhanced insight into treating patients with special needs and the additional care they may require. Her daughter has followed in her footsteps and is also a dentist. Dr Carlos Jimenez Jurado qualified at Alfonso X University in Madrid in 2005. 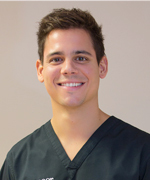 Carlos enjoys all aspects of dentistry and has attended several courses in implantology and cosmetic dentistry. This has given him the expertise and skills to perform implant procedures in even the most complex cases. Carlos always keeps up-to-date with the latest technologies and techniques available in modern dentistry. Carlos is a certified provider of the teeth straightening solution Inman Aligners, Invisalign and has extensive experience in both NHS and private dentistry. He always puts his patients’ well-being first and is especially gentle with nervous patients. Outside of work, Carlos enjoys travelling and is a keen sportsman. After graduating from the University of Valencia (Spain) in 2008, Cesar started practicing general private dentistry where he found his life’s true vocation, Endodontics. He went on to obtain his Masters in Endodontics in 2010 at the same university. Since then, Cesar has been working in private practice Limited to Endodontics. In 2011, he moved to London. He works in several private practices where he focuses on the treatment of complex root canal treatments. His aim is to try to always save the tooth by providing the best quality root canal treatment possible, under correct conditions, and with the best materials available. He has a vast experience in immature apexes, perforations and curved canals. He keeps up to date with the latest advancements in endodontics by taking various post-graduate courses and attending Endodontic conferences. His research is often published in the Journal of Endodontics. Dr Hikmat is a specialist orthodontist on the GDC specialist list for Orthodontics. She attained her dental degree from University of Sheffield. She has gained a broad postgraduate experience in oral and maxillofacial surgery, restorative dentistry, and special needs dentistry. Dr Hikmat subsequently undertook her specialist orthodontic training at Guy’s and St Thomas Hospital, London and the Royal Alexandra Children’s Hospital, Brighton. She attained her Membership in Orthodontics with the Royal College of Surgeons of Edinburgh and achieved a Masters in Orthodontics from King’s College London. She has carried out research in orthodontic materials and their practical application. She has presented and published internationally. Her clinical interests include interceptive treatments and functional appliances in children and aesthetic treatment options for adult patients. She has a wide range of experience in a variety orthodontic appliances and bracket systems. She is experienced in Damon braces, Invisalign® and certified in the use of the Win and Forestadent 2D lingual brace system. Since Graduating (BDS) in 2003, Pedro focused his interest in the field of Orthodontics. He studied several courses until completing with distinction a Master of Science degree in Orthodontics. Since 2012, his practice has been limited to providing solutions for Orthodontic problems to children, adolescents and adults. His practice revolves around Cosmetic braces, Lingual braces and invisible aligners. He is very experienced using the Damon system while being Invisalign, Inman aligner and Harmony certified. He is accredited by the American Association of Orthodontists and the World Federation of Orthodontists. 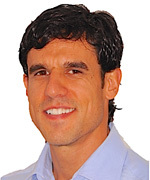 Pedro has published in international Journals of Orthodontics (REO) and actively works in new research. He has completed hundreds of cases and likes to photograph each case to document the improvements and passion he brings to the patient’s appearance. Anisha graduated from Barts London School of Medicine and Dentistry in 2015. 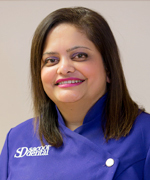 She is passionate about delivering the best dental treatment for her patients, and her soothing and friendly demeanour allows her to answer her patients’ questions regarding their oral health with care and sensitivity. She especially likes to treat children, and patients who tend to feel anxious when visiting the dentist. Anisha also like to keep up to date with the latest advancements in aesthetic dentistry, and she has recently received her accreditation for administering Juvederm wrinkle reduction treatment. In her spare time, she enjoys going to the gym and practising yoga. 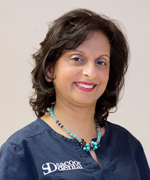 Jamila has extensive experience in both NHS & Private dentistry. She has a particular interest in restorative dentistry, and treating children. She ensures she is up to date with the techniques in dentistry, by attending the latest courses. One of the most rewarding aspects of her career to date has been taking care of nervous and anxious patients. She finds this aspect of dentistry personally fulfilling and she strongly believes that everyone should have access to pain-free dentistry. Jamila provides a caring, compassionate and empathetic approach to delivering dental care, coupled with the highest-standard of dental treatment. This is achieved by building a relationship with patients based on trust and mutual respect, a formula which has serves her patients well. 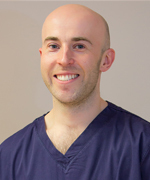 Pawel qualified from King’s College Hospital NHS Foundation Trust and holds a diploma in Dental Therapy and Hygiene. On completion of his course, he was awarded ‘best overall clinical student’. Pawel is passionate about his work and gets great satisfaction from successfully treating patients with gum disease. Pawel is very interested in learning new skills and keeping abreast of modern techniques so he can improve the quality of care he provides to patients. He is particularly interested in new concepts in caries management and periodontology and its impact on a patient’s general health.